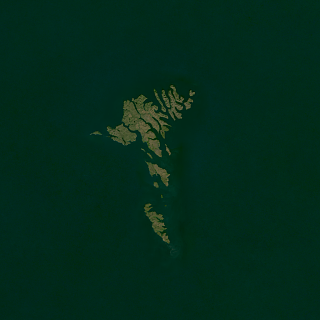 This Landsat mosaic of the Faroe Islands gives an up-to-date visual color impression of the Faroe Islands - an archipelago between Iceland and Norway in the north Atlantic Ocean. 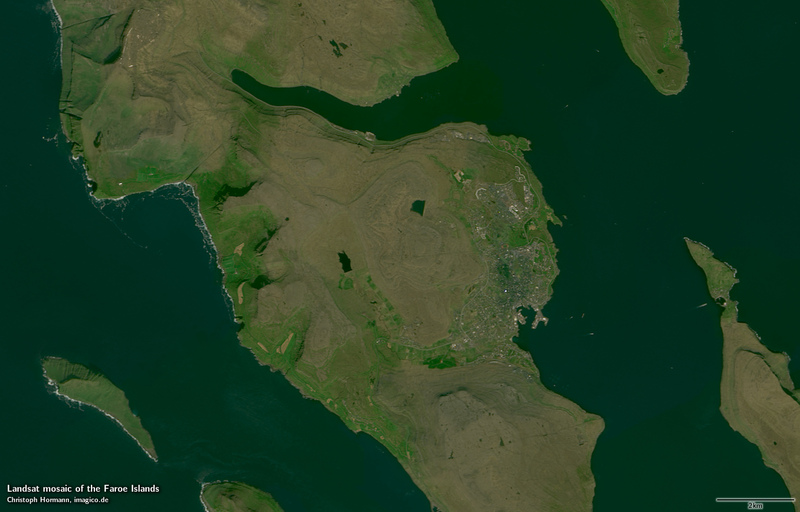 For this I processed and assembled Landsat- and Sentinel-2 images for the area. This Landsat mosaic can be considered a higher resolution supplement to the Green Marble and similarly it represents the surface color with compensation for the effects of the atmosphere. Selection of source data is targeting a late summer time frame with priority on July to September. Source data is Landsat 8 imagery from 2013 to 2016 and Copernicus Sentinel-2 imagery from 2015 and 2016. Assembled in UTM zone 29, can be made available in other projections.